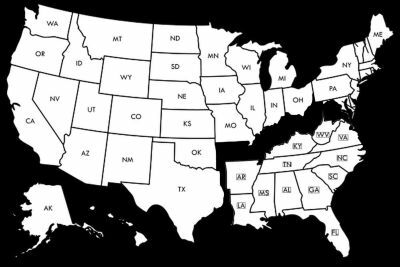 There are two places that keep federal and state laws in order for us and have staff (as in they pay them) to keep track of it properly. I won’t be listing the laws of each state but rather noting which parts of the laws apply. Such as which states have Service Dogs In Training (SDIT) laws or protection rules. Michigan State University Animal Legal and Historical Center (ALHC) – They have a topic listing for Disability and Pets. They also have a rather large, hard-to-read “table” page of state laws with links to their pages for each state. This is the place to go for information.. I suggest the Control (Ctrl) and the F key at the same time then entering your state in the search box. Service Dog Central (SDC) has a lot of information, including information on laws relating to Service Dogs. It is well organized but it can take a lot of clicks to get to the layer you are looking for. 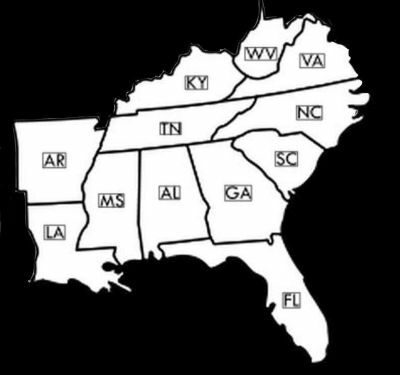 They have a listing of states. This site may not be kept up-to-date and is listed here only as resource. These maps are what I will use later for color coding or whatever. Click either of them for larger versions, although there is nothing to see at this point. * “done” means interpretation of the laws are done. – has a tag to be issued that grants full access (statute §14-168-4.2) although full access is already granted via the federal law. This tag is considered illegal and redundant. Persons with SDs in the state are encouraged to not get one because it makes businesses think every SD team should have one. The state has finally updated its wording (but not the application) to allow owner-trained service dogs to apply for a tag. It requires “a letter signed by a witness to verify what work or tasks the animal has been trained to perform”. – it is a Class 3 misdemeanor to disguise a dog as a SD (statute §14-168-4.5). This is my personal favorite. – ebook “Animal Law in South Carolina – Piecing It All Together” – put together by a law office in Charleston. – “A person who violates the provisions of this section is guilty of a misdemeanor” (Code 1976 § 43-33-40). Does this mean those who deny access? – There are several laws protecting SDs and guide dogs. All of them are considered misdemeanors. You cannot interfere (once you’ve been told not to), nor can your dogs interfere (once you’ve been notified) if they are not contained (Code 1976 § 47-3-930). It is unlawful for you and your dogs “with reckless disregard” to “injure, disable, or cause the death of” a SD or guide dog (Code 1976 § 47-3-940). You also cannot gain control over the SD or guide dog with the intent of depriving the person of their dog (Code 1976 § 47-3-950). Interestingly, this carried less monetary fine but more jail time than killing an SD. And it is illegal to “intentionally injure, disable, or cause the death” of a SD or guide dog (Code 1976 § 47-3-960). But also has a “Violation of rights; injury or interference with an assistance dog” law covers dog meets service dog situations (vs person meets SD).